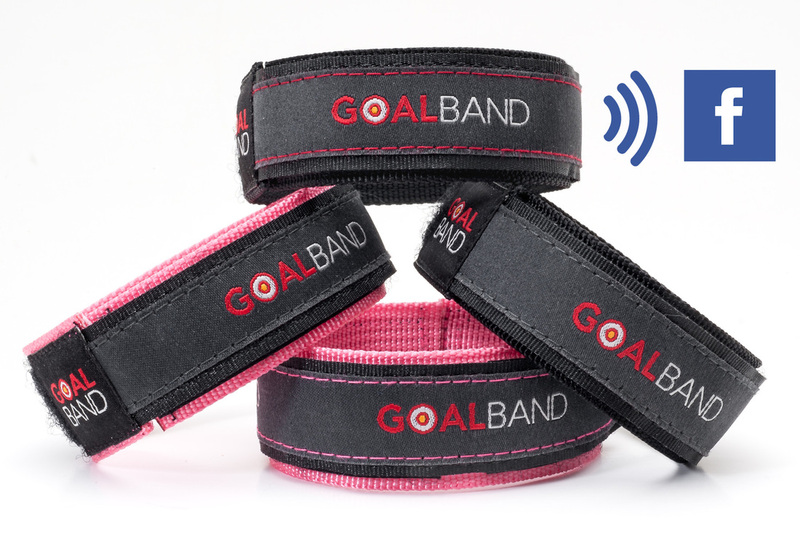 GoalBand Facebook is an electronic version of our Original Weight Loss Wristband that easily connects your Smartphone* to Facebook Groups. It's perfect if you're a member of any existing Facebook weight loss groups or if you're planning on setting up a Facebook weight loss group in the near future. GoalBand Facebook also gives you the full range of benefits of our Original Weight Loss Wristband. So you can experience the same ENTHUSIASM and CERTAINTY - EVERY SINGLE DAY until you've REACHED your weight loss goal - and then far beyond it. * Android, Blackberry and Windows operating systems using NFC - iPhone is not yet supported due to Apple's NFC lock; iPhone users may access manually. Connect with higher MOTIVATION... and other group members! Feel GREAT about your progress individually and as a group! It's a proven fact that you're more likely to succeed in achieving a goal when you physically write it down. 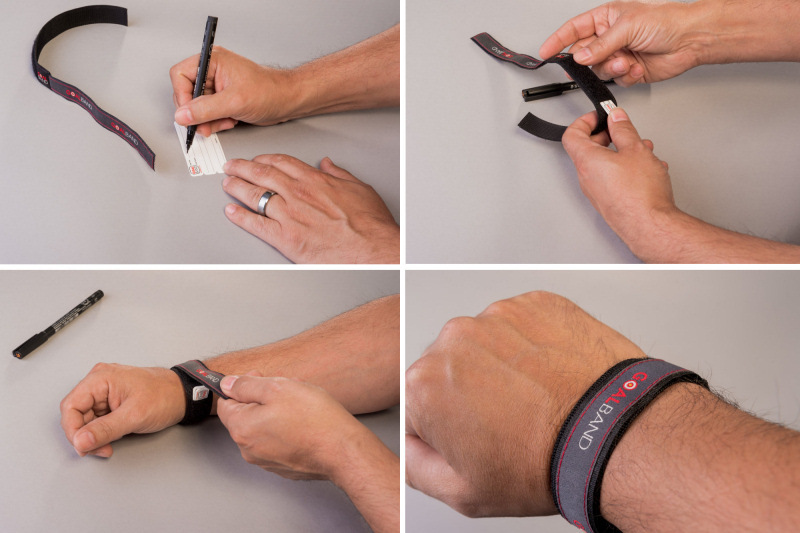 Part of the power of GoalBand Weight Loss wristband stems from the fact that you can physically write your weight loss goal and store it discreetly inside your band. 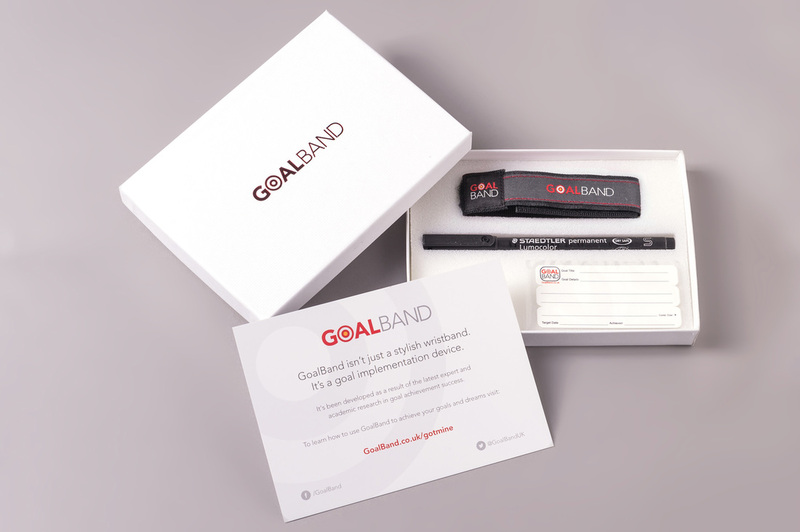 GoalBand therefore acts as a permanent, 'always on' visible reminder of your weight loss goal that will connect you to the levels of motivation that you'll learn from The GoalBand Success System. Your goal commitment card goes inside your wristband. If you chose to ignore the outstanding content of The GoalBand Success System and all you did was put your goal in writing on your goal card, slip your goal card into the discreet sleeve inside your GoalBand and wear your wristband everyday then you'd be 33% MORE LIKELY to lose weight. It's a fact. Using GoalBand alone would help you achieve a better result than what you could expect to achieve by reading ANY weight loss book. This fact is based on scientific research conducted at Dominican University, CA. Of course you'll want to do better than 'chance' - no matter how favourable. That's why we're GIVING you The GoalBand Success System - to help change your habits and guarantee your success.